In 1887, Columbia was formed, which to this day remains the oldest label in the history of the recording industry. Sony Music evolved from there becoming a global record music company of the world’s greatest artists past and present including Beyonce, Foo Fighters, One Direction, Usher, Justin Timberlake, John Legend, Meghan Trainor, Mark Ronson, Miley Cyrus, Calvin Harris, Pharrell Williams, Rita Ora, Zara Larsson, Fifth Harmony, Michael Jackson, Bruce Springsteen, Celine Dion, AC/DC and many more. 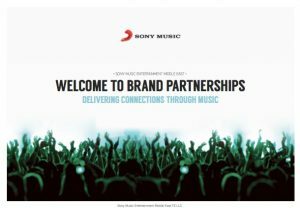 Sony Music Entertainment Middle East has been a pivotal player in the regional music industry for almost two decades. Based in Dubai Media City, we operate across a vast market of countries including Egypt, Pakistan, the Levant and GCC. We have a great team who are passionate about what they do; helping to nurture and develop local artists including the region’s #1 boy band The5 and rising Egyptian star Nathalie Saba; making sure millions of fans receive the very best music through our regional mobile and digital partners; using unique insights to help clients create ground breaking new music solutions; and working with our lovely friends in radio and media to keep people tuned in to the latest hits and news. We are always on. We are always listening. We hope you are too.